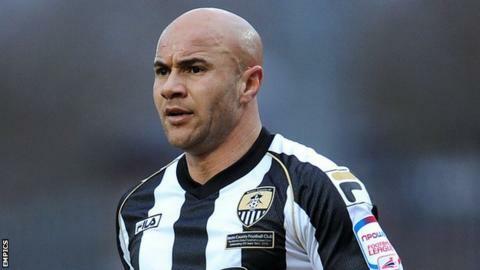 Stevenage have signed veteran Notts County midfielder Gavin Mahon on loan until the end of the season. The 36-year-old has played 15 times for the Magpies this term and can be recalled at 24 hours' notice after the first 28 days. Mahon, who has made 506 career appearances, is out of contract in the summer. "He has lots of experience and comes in at the right time," Boro boss Gary Smith told the club website. "He's also an individual that has seen and done a lot in the game, and plenty of our guys can lean on him and learn from him because of that. "I'm delighted to be able to add him to our squad." Birmingham-born Mahon started his career at Wolves and went on to represent Hereford, Brentford, Watford, QPR and Crystal Palace. He is most renowned for his six years with the Hornets, for whom he played 215 games and captained to the Premier League via the play-offs in 2006.